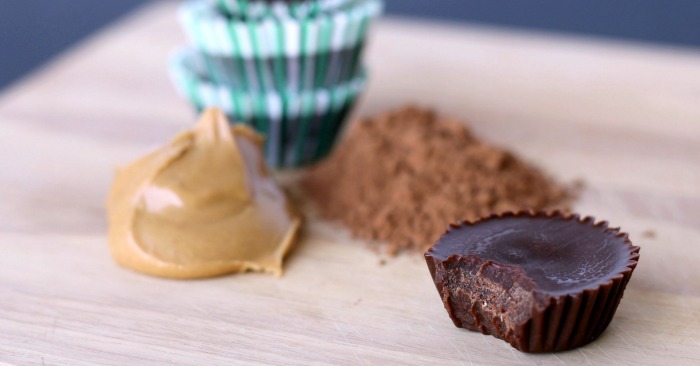 Creamy Chocolate Peanut Butter Fudge made with only 5 ingredients! Hello again, Love Nerdlets. 🙂 Ha! If you were my readers, that would become my loving pet name for you. I wish I had something cute and catchy to call my readers. Sadly, 365(ish) Days of Pinterest is a bit of a mouthful (although I’m open to ideas.) Anyway…today I’m sharing a sanity-saving recipe with you. Chocolate Peanut Butter Fudge is my hero. You see, I joined an 8 week fitness challenge group to help kick myself into gear, and for several weeks now we have been eating “clean.” Mostly. I still have one cheat day per week when I can eat whatever I want. But the other days of the week, I’m trying to focus on eating real food. That is, food that IS ingredients, not food that contains ingredients. The number one thing that is out of our diets (except on cheat day) is sugar. That leaves me with six days a week to combat the sweet cravings with healthier options. This recipe was posted in the Facebook group and I happily went about “testing” it to be sure it was palatable. I expected a dry, bitter “chocolate-like” substance, but I couldn’t have been more wrong. This chocolate peanut butter fudge is creamy, sweet and satisfying. Really. Take it from a non-crunchy, “eat all the things” sugar lover. The best part about this recipe is that it only has five ingredients and takes just minutes to make. I have a plate full of these little treats in my refrigerator right now. I like to sit and slowly savor each bite at the end of a hard day! In a bowl, mix the oil and cocoa powder. Stir in peanut butter, honey and vanilla. Pour into muffin cups and place in refrigerator to harden. If you are in a hurry, you can put it in the freezer for about 10 minutes. Keep refrigerated. 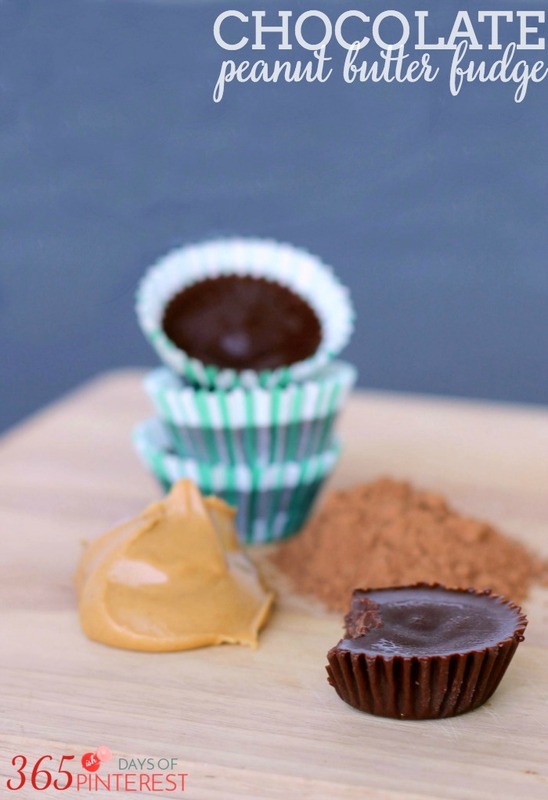 There are 120 calories in each chocolate cup, but they are calories you can feel good about eating! 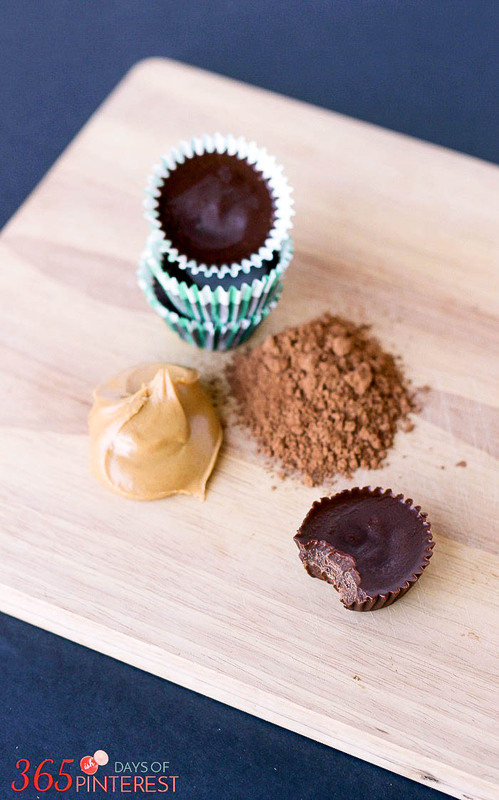 Don’t sabotage your good eating at the end of the night-try this Clean Eating Chocolate Peanut Butter Fudge instead! Here’s another great clean eating recipe I tried recently! 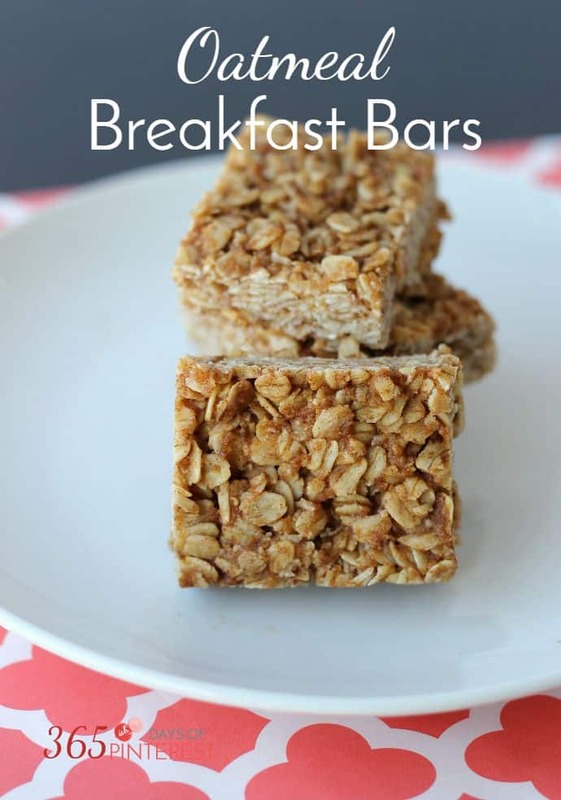 I keep these in my refrigerator for a snack or quick breakfast on the way out the door. They freeze well, too!